As we hit the two-week mark from the ending of the 78th General Convention of The Episcopal Church, I look back on those nearly two weeks in Salt Lake City with a sense of gratitude for what the Church accomplished. We elected Bishop Michael Curry the new Presiding Bishop. We passed legislation in support of the rights of immigrants and refugees. We passed a new initiative on racial justice and reconciliation. We began the process of shifting our own structure as a General Convention. We passed legislation moving us clearly into the path of liturgical marriage equality. We also passed several trans- affirming resolutions. In fact, all of the resolutions that TransEpiscopal was there to support (a list of which you can find here) passed. Two of these looked beyond the borders of TEC: A051 (“Support LGBT African Advocacy") and D028 (“Oppose Conversion Therapy”). Another pair, A073 and A074, called for “the creation of inclusive policy and practices in regard to LGBTQ and gender variant individuals" as part of a broader update of TEC’s call for an update of TEC's Model Policies & Resources for the Prevention of Sexual Misconduct and Abuse of Youth and Children. The two resolutions on which we focused the most strongly were about name changes: D036 ("Adding Name Change Rite to the Book of Occasional Services”) and D037 (“Amending Names in Church Records, Registries and Certificates”). As reported earlier, a number of people, both trans and cisgender, spoke at the open hearing on this resolution before the Committee on Prayer Book and Liturgy. All testimony was supportive—no one spoke in opposition. The testimony was also well received, and the committee supported the resolution strongly. They voted it forward to the House of Bishops with an amendment that we felt good about as well. 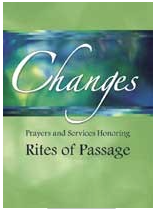 The original wording of the resolution called for the planned expansion of the Book of Occasional Services to include a particular name change rite from a resource entitled Changes:Prayers and Services Honoring Rites of Passage. The amended version of the resolution opened that process, inviting the revisers of the BOS to consult both that rite and other rites. Other rites they might consult, for instance, include the one in Justin Tannis’s pioneering 2003 book. This amended version of D036 then passed both the House of Bishops and of Deputies on their respective consent calendars. This means that the resolution was basically considered so non-controversial that it could simply be approved without discussion. Very good news! So we are on our way to having a widely accessible name change liturgy in The Episcopal Church. Over the next three years, as the Standing Commission on Liturgy and Music (SCLM) revises the Book of Occasional Services, it will incorporate a name change liturgy. At the next General Convention the SCLM will present its revised BOS to the 79th General Convention in Austin, TX and will call for its approval. 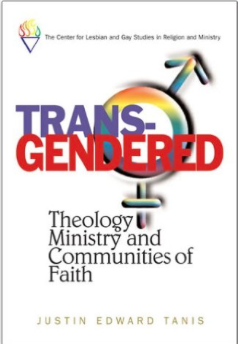 In the meantime, for those interested in using or putting together a name change rite, you too might consult the two above mentioned sources, among others: Changes and Justin Tannis’s book. Like D036, D037 also passed both Houses and is now an act of the General Convention. D037 addressed the pastoral need for TEC to respond to requests by those who have had a legal name change to amend names in church records and to reissue certificates. It calls for the church to study what canonical issues—if any—there may be to fulfilling such requests. It also called for trans people to be consulted as part of that study, since the resolution itself was generated precisely by the experiences of trans people in our church—by people requesting a new baptismal, confirmation, or ordination certificate after they have legally changed their name, for instance. Like D036, this resolution was supported by powerful testimony during the open hearing process, this time before the Committee on Structure and Governance. Again, all testimony at this level was supportive, and the committee was glad to move it forward in the legislative process. And as with D036, the committee amended its language. The substance of the resolution stayed the same—the changes simply impacted what other committees should help plan and execute the study. While D036 traveled first to the House of Bishops, D037 began its road in the House of Deputies . The amendment was passed, followed by the full resolution. I don’t recall hearing any no votes. It then continued on to the House of Bishops where it was put on the consent calendar and passed on the last day of General Convention. I heard the news while I was at the airport waiting to board my flight. Now, two weeks out from the close of General Convention, as I think over all the amazing things that happened on so many fronts, and as I think about these particular resolutions that we put so much energy into supporting, I come back to Fredrica’s testimony in the House of Deputies. We are a people who have striven, who are striving, to claim and fully move into our baptismal identities. In this we stand with many—indeed, with all the body of Christ – and we share much even in the midst of some differences. And because of how we stand in the midst of that larger body we are reminded that we are always amid the already and the not yet. These resolutions are now entrusted to the General Convention and its (now shifting) interim bodies. They become the work of the Church, in progress, between now and 2018. Between now and 2018 we will join that progress, we will offer our support, insight, energy, and ultimately our trust. We look forward to having a name change liturgy in the Book of Occasional Services. We look forward to hanging our baptismal certificates on the wall. And while we still have much, much work still to do, right now let’s hang this General Convention on the wall—let’s celebrate. I recently came across your blog and have now been reading along. I thought I could leave my first comment. I don't know what to say except that I've enjoyed reading. Nice blog. I could keep visiting this blog very often. Estimate found the site and now I sit here all my free time thinking about working out. Interesting? Okay, share a link topnotch casino slot play You can not thank.